November 2018 Her Mind Magazine Comments Off on Hi, Tech! Homes are getting smarter. For many this is a good thing. Doorbell cameras can monitor intrusive activity on your stoop. If you’re at the store and can’t remember if you need milk, just log in and peek inside your refrigerator. If you want to listen to a novel or the news, you need only ask Alexa•who will likewise guide you through a yoga routine or help you find a recipe without the bother of typing ingredients into your iPad (Remember when that task involved sitting down at the kitchen table with a pile of cookbooks?). Yes, we are ambivalent about improving the brain power of our abode. But that doesn’t mean all technology is scary. Here are some finds•some hi tech, some just plain clever, some for this season’s holiday shopping, some just heating up on fundraising sites•that may help smooth your daily routine. 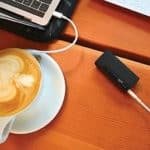 River Rapid’s teeny tiny charging device (approximately 1.3 by 3 inches) is the equivalent of a shot of espresso for your electronics, giving a boost of up to 50 minutes to your laptop, and a double shot for smaller devices. $49.99 at store.ecoflow.com. 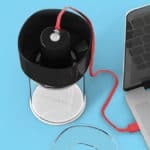 This one-touch coffee brewer makes a perfect cup using patented Vacuum Extraction™ that employs negative force to pull water down through the grounds. All in 30 seconds. Plus, it can be recharged with a USB cable. $75 via IndieGoGo (search for FrankOne). Sure, when robotic vacuums first came onto the scene, Roomba dominated the market, to the point of usurping the generic moniker. But now that serious cleaning companies are joining the fray (We’re looking at you, Dyson. ), there’s a lot to choose from. The Neato BotVac can be operated through Alexa or your Apple watch. Starting at $499 at neatorobotics.com. 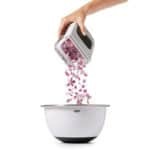 Time and again, the simplicity–not to mention the comfortable grip–of Oxo utensils win out over pricier competitors. While we are not in favor of single use kitchen appliances (What ever happened to the can opener? ), we love this low-tech chopper. One chomp and an onion is diced•without tears. $19.99 at Target and other retailers. How many times have you been baffled by dangling strips of dough? Those beautiful grids perfected by grandma can be elusive to all but the most patient weavers. 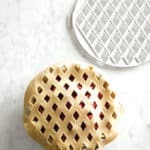 Let the steam out with a perfect crust cutter. $19.95 at williams-sonoma.com. We haven’t encountered a talking mirror since Snow White’s evil stepmother asked for feedback. This one has voice controlled and motion detector lights, so you can dim or brighten, depending on your makeup needs, as well as avoid stumbling in the middle of the night. Its embedded voice controlled speaker means Alexa can give you the traffic report or pipe some mood music. 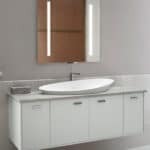 About $500, kohler.com. 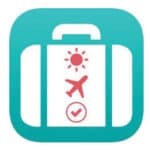 Packr will help you figure out what to put in your suitcase. Just plug in your destination and length of stay. If you’re a frequent business traveler, the app will figure out what you need based on your last trip. It’ll also tell you if you should pack an umbrella, mittens–or sunscreen. $1.99 at itunes.apple.com/app/apple-store. 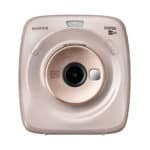 This square-format hybrid camera makes instant prints and will also upload your photos to your favorite social media account. You can edit the photos while they’re still in the camera. The SQ20 even has a mirror on the front so you can pose for the perfect selfie. $199.95 at Amazon. If you’re stuck on having a lush lawn but hate to mow, a robotic mower is cheaper than a yard service. 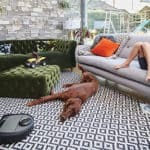 The lithium battery-powered machine will glide around the yard keeping every blade uniformly trimmed with sensors that keep it from accidently chopping say, a tennis ball or the slate patio. The Husqvarna Automower even uses GPS to determine the contours of your yard. $1,499.95 at husqvarna.com. Trusty Charge is like the Swiss Army Knife of electronics. It’s an AM/FM radio, an LED flashlight and a phone charger. Plus it’s solar powered and splash-proof. Perfect for your next camping trip, or long day wandering the urban jungle. 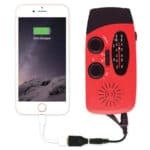 For ordering information, trustycharge.com.